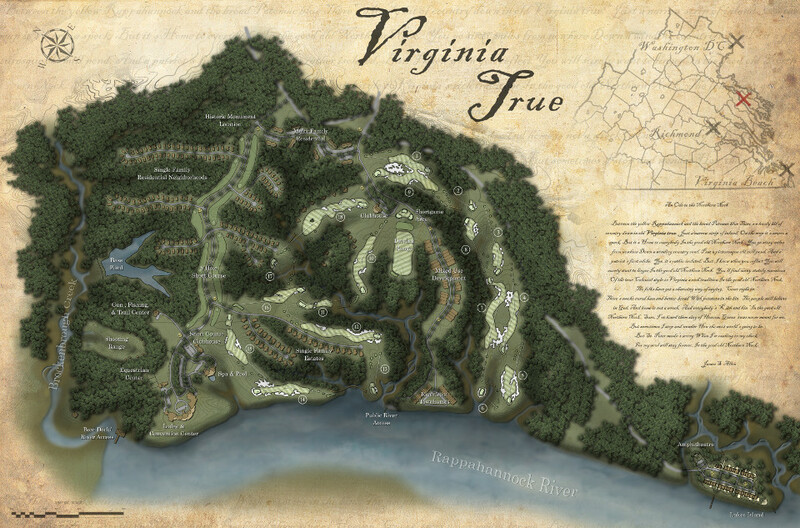 Virginia True sits 120 feet high atop the cliffs of the Rappahannock River in the Northern Neck of Virginia. This development will include a world class 18-hole destination golf course designed by Lester George. The Lodge and Spa will offer outstanding views, accommodations, and dining as well as a wide range of recreational experiences such as hunting, shooting, hiking, biking, equestrian, fishing, etc. The property is zoned for 700+ residential units, both single and multi-family, as well as multiple mixed-use developments on site and on the adjacent “Luke’s Island”. This project hopes to bring people from all over to the Rappahannock Cliffs to discover nature, recreation, and all the history the Northern Neck has to offer.